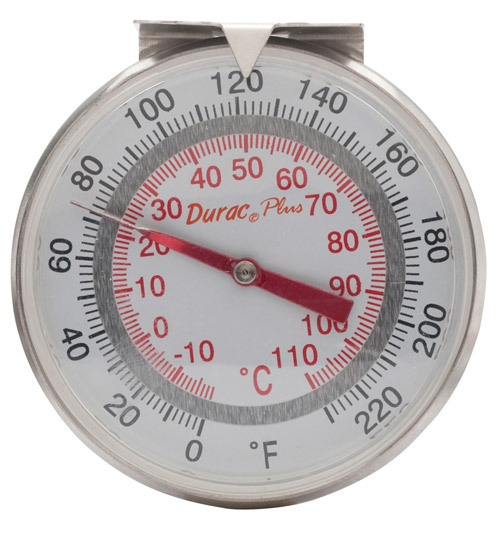 A highly accurate thermometer featuring a large 2” easy-to-read dial and 8” stainless steel stem for quick, dependable readings. 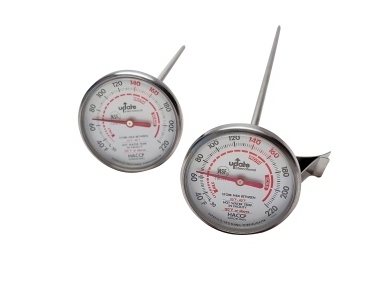 A good general kitchen thermometer as well as an invaluable part of your cheese making equipment. 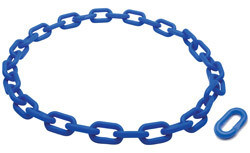 It can be used for yogurt making, heat-treating colostrum, and pasteurization. This professional instrument is built to last a lifetime.